The recent episode of Satyamev Jayate which targeted corruption in the Medical Profession in our country has already generated much heat. From the understandably angry reaction from doctors, outpouring of outrage (aimed at medical profession) from general public to acerbic articles in the mainstream press, the episode has stimulated a lot of debate. This in itself is not a bad thing. Being a part of Medical Profession for the last 30 years, the entire episode affected me deeply. Not because it talked of corruption in my profession. (After all, which sphere of life in modern India is untainted by corruption?) But what disturbed me was the realization that the profession of healing, previously looked upon as a Noble profession, is now regarded with deep suspicion by the common citizen of our country. While accepting the fact that all is not well with the Medical profession in our country, I would like all commentators (including Amir Khan) to refrain from bad-mouthing all doctors indiscriminately as the number of good and ethical Doctors in India far exceeds those indulging in questionable practices and such generalizations just go on to drive a wedge of suspicion and destroy the Doctor-patient relationship. This, in the long run, will simply harm the interest of the patients. There is no denying the fact that advanced medical care in India is prohibitively expensive. I know many instances where even members of Medical profession were unable to afford the treatment of conditions requiring Intensive care or cancer chemotherapy. But are Doctors responsible for this state of affairs? Health is a State subject but both the Central and State governments have proven to be woefully inadequate to the challenge of providing even basic healthcare to the citizens of our country, so the question of providing advance health care gets left far behind. In this scenario, the only option left for most citizens is go in for private healthcare. Treatment in multi-specialty corporate hospitals is expensive. And the feeling that needless investigations, unnecessary procedure/operations and costly drugs have been used persists in the minds of many of the patients. Unfortunately, there is hardly any provision made for illness/hospitalization in the monthly budgets of most Indian family. 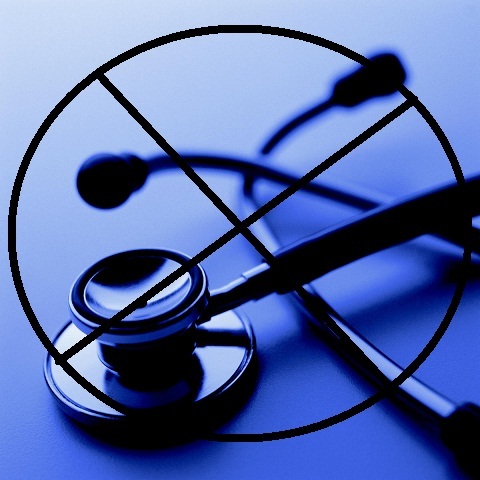 Health insurance is often absent and even if present, usually meager. Thus any expense pertaining to illness/hospitalization is unplanned and unwelcome. This results in a simmering resentment in the minds of most people and in the end this ire gets directed at the healthcare in general and Doctors in particular. So every time an Amir Khan targets the medical profession, it finds a resonance across the nation. While many commentators have compared the Indian Healthcare system with that of USA/ European countries and rightly pointed out some deficiencies, they would be well advised to compare the cost of health care services in those countries with that in India. They will be surprised to see that Healthcare costs in India are a fraction of that in USA/ Europe. So where is the solution? I believe that opening more Government Medical Colleges in semi-urban and rural areas will go a long way in improving the health infrastructure of our country and take advance health care to places where it is most needed. This will also help improve the woeful Doctor-patient ratio of the country. Health insurance is a sector that needs a lot of work. And the state run agencies like LIC should provide low cost health insurance to the needy sections of the society. The pharmaceutical industry should be regulated and the price of essential / life-saving drugs should be capped to make them more affordable. This will help in doing away with the huge profit margins and also discourage malpractices like use of expensive drugs unnecessarily. The Medical Council of India should be strengthened and be manned by professionals with unimpeachable credentials. Practices like 'Continuing Medical Education' and 'Prescription audits' for Doctors be encouraged and made a norm. Another aspect which generally escapes the attention of general public are the increasing episodes of violence aimed at Doctors/ paramedical staff and clinical establishments. Doctors should be provided with adequate security and legal right to practice their profession without any fear. Some states like Andhra Pradesh, Punjab and Delhi have already passed ordinances about ‘Prevention of violence against Clinical establishments and Medical personnel.’ Other states need to take cognizance and follow suit. Another important lacuna in the health delivery systems of our country is the presence of huge number of Quacks/ unqualified persons masquerading as doctors in our country. And don't think that it is a problem seen only in rural or semi-urban areas. Even in cities like Delhi and Lucknow, the quacks outnumber the qualified doctors by a huge percentage. And the regulatory authorities seem to be least bothered about this menace. And lastly, public health be accorded the highest priority and budgetary provisions be made for it by the Central and State governments. Only then can we hope to achieve a healthcare system which confirms to the expectations of all our citizens. An intelligent boy from a middle class family becomes a super specialist. he doesn't get space to work in a good government set up because of limitation of superficiality government hospitals. He doesn't have enough resources to open his own set up. His specialty can not be run through a clinic. He has no option but to join a big corporate hospital. here on the very first day he is told to generate a revenue of 25 lac per month, else his services will no longer be required. what do you think that young doctor is corrupt or the big corporate hospital run by businessman is trying to make him corrupt by demanding unfair admissions, investigations or operations by threatening him his job. Another big corporate hospital has hired his PRO, who moves from clinic to clinic demanding these young doctors to send patients who require admissions, investigations or super specialty treatment at his hospital. Doctor in any case has to send the patient to any hospital. Doctor decides to send the patient to that particular hospital and gets a cut for that. who is responsible for initiating corruption. Corporate hospital or doctor. doctor will have to refer the patient even if no corporate hospital offers cut to him. why the hospitals are offering cut? one of my friends admitted his mother to a big corporate hospital for three days for a small problem. total bill is 30,000 and out of that doctor gets 2700 as his fee that is less than 10%. who is forcing that doctor to order more and more investigations and who gets the big chunk out of bill. corporate hospitals are rich and can hire doctors at their will and tell them to follow ethics set by them in their hospital. Doctors are not in commanding position and have to work as per the work culture dictated by these corporate hospitals. Therefore if corruption is initiated at all it is at level of corporate not the doctors. why aamir khan is afraid of exposing these corporate hospitals? Reasons are best known to him. Yes! I am in complete agreement with you on this particular point. It is also pertinent to know that most private Medical colleges are owned by politicians and the corrupt practices being followed in admission to these colleges go on to enrich them and not the doctors working in them.